The government has decided to cut non-essential imports and increase exports, Finance Minister Arun Jaitley said. PM Modi was briefed by RBI Governor and finance ministry officials on the economy, Arun Jaitley said. 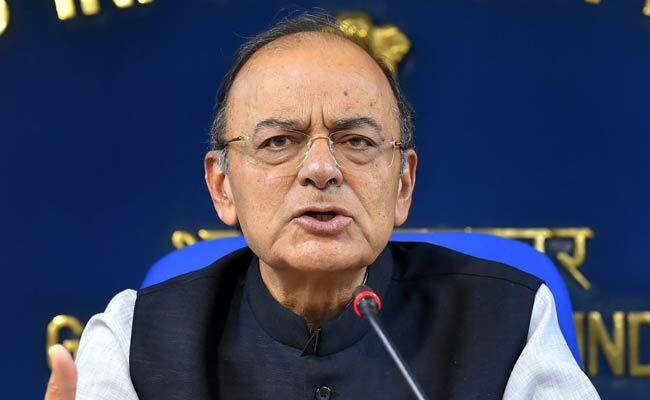 The government has decided to cut non-essential imports and increase exports amid a widening current account deficit (CAD), sliding rupee and soaring crude oil prices, Finance Minister Arun Jaitley said on Friday. The government, in a meeting chaired by Prime Minister Narendra Modi, also decided to remove restrictions on external commercial borrowings and masala bonds to control the current account deficit, which slipped for the first time in six quarters in April-June. Masala bonds are rupee-denominated instruments through which Indian entities can raise funds by accessing overseas capital markets. "To address the issue of expanding CAD, the government will take necessary steps to cut down non-essential imports and increase exports. The commodities of which imports will be cut down will be decided after consultations with concerned ministries and will be WTO-compliant," Mr Jaitley was quoted as saying in a report by news agency Press Trust of India (PTI). The decisions are aimed at checking the current account deficit and increase foreign exchange inflows, Mr Jaitley said. PM Modi was briefed by the RBI Governor and finance ministry officials on the economy. Current account deficit increased to $15.8 billion in the fiscal first quarter, compared to $15.0 billion in the corresponding period a year ago. The country's overall exports in April-August 2018-19 are estimated to be $221.83 Billion, exhibiting a positive growth of 20.70 per cent over the same period last year. Trade deficit, however, stood at $17.4 billion in August, as against a near five-year high of $18.02 billion in the previous month. The deficit narrowed despite a sharp increase in merchandise imports, up over 25 per cent to $45.24 billion due to soaring crude oil prices, thanks to a more than 19 per cent growth in exports to $27.84 billion.